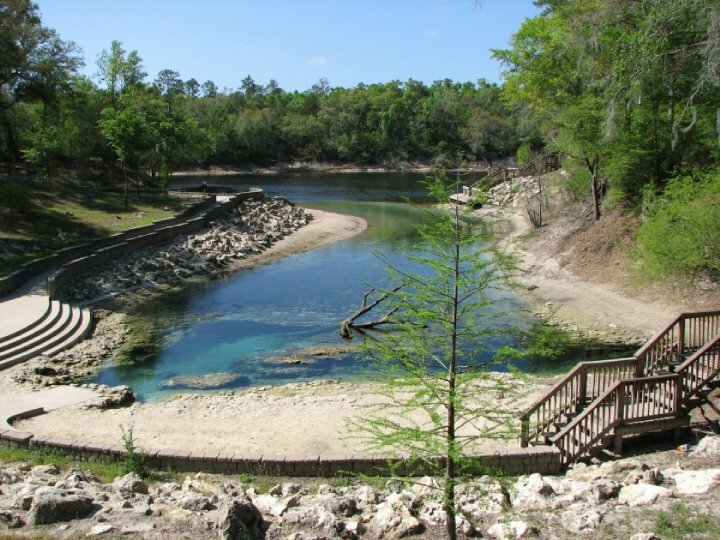 Beautiful Little River Springs in Florida. You can Swim or Cave Dive here. See the entrance of underwater Cave on left. 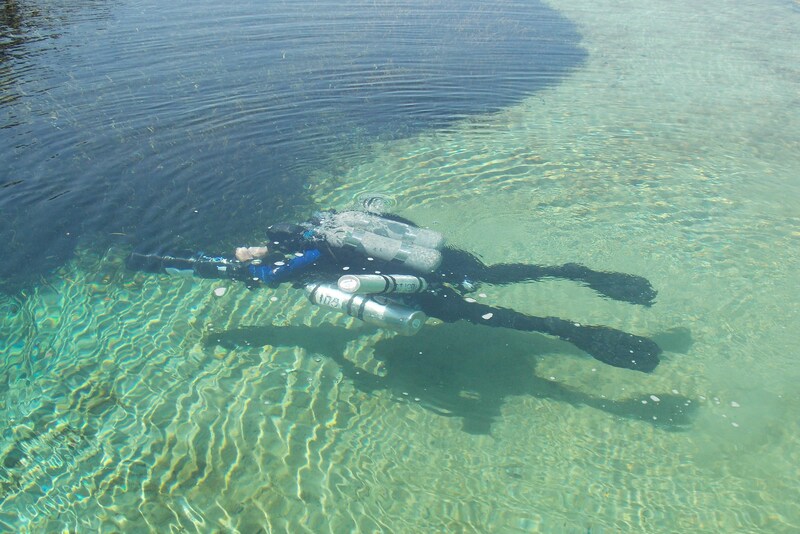 To watch “My Movie – Ginnie Springs 10-17-2012” click on the link below. 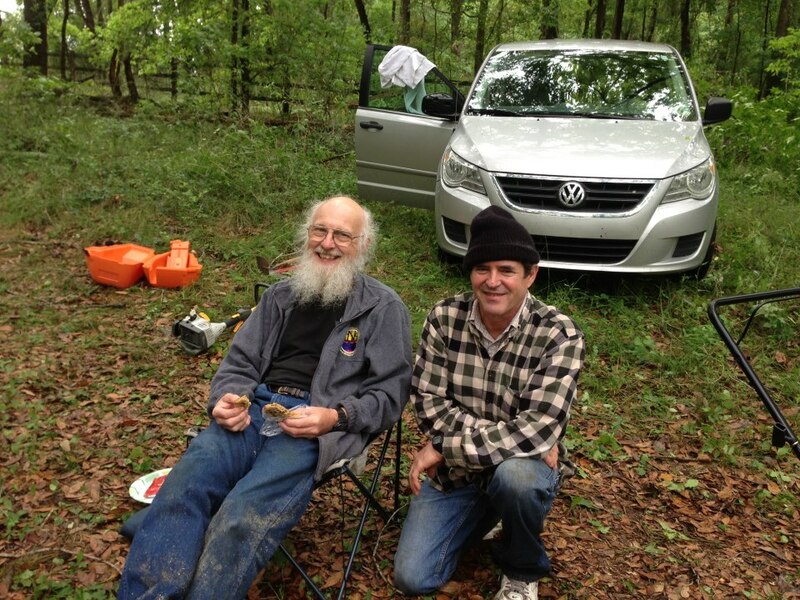 Forest Wilson (on left) is the inventor of the modern Cave Diving “Line Arrow” that is used in every Cave today. 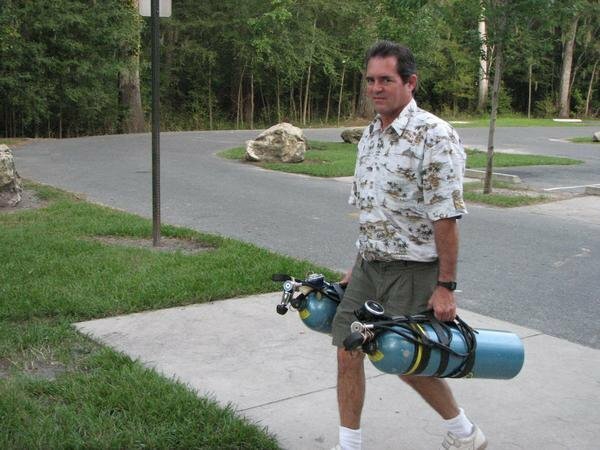 Howard getting ready to Cave Dive at Little River Springs. He is carrying his two extra tanks to the water. The extra tanks are called Stage Tanks. Howard with Scooter preparing to Cave Dive at Ginnie Springs. 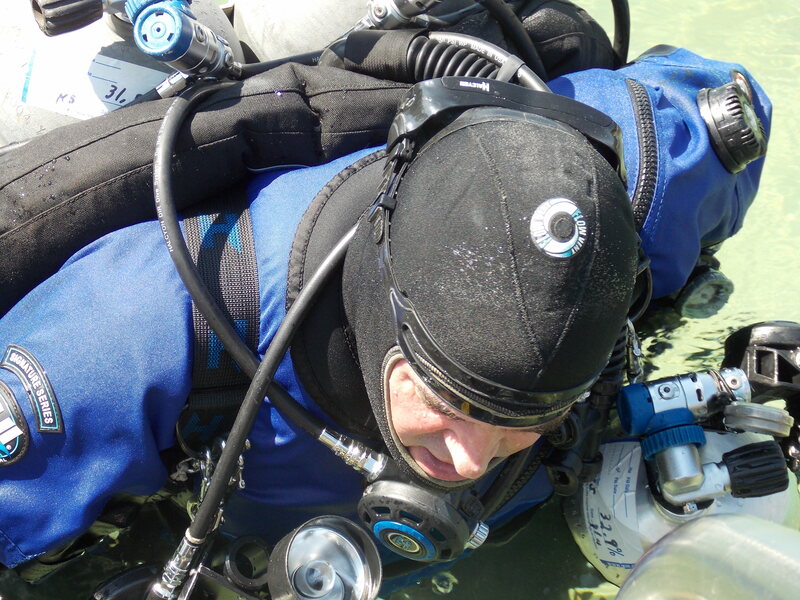 A close-up of Howard in gear in water ready to go Cave Diving at Jackson Blue Springs. 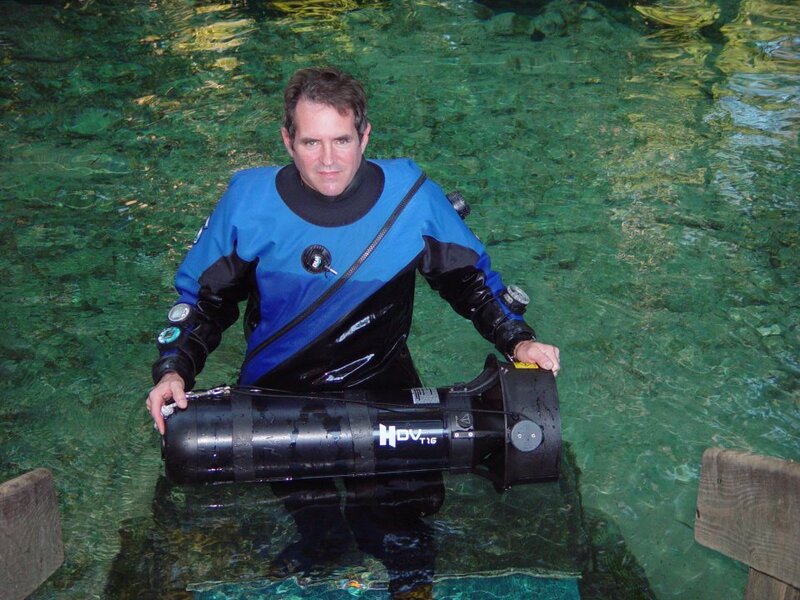 Howard going Cave Diving in the beautiful Spring water at Jackson Blue Springs.